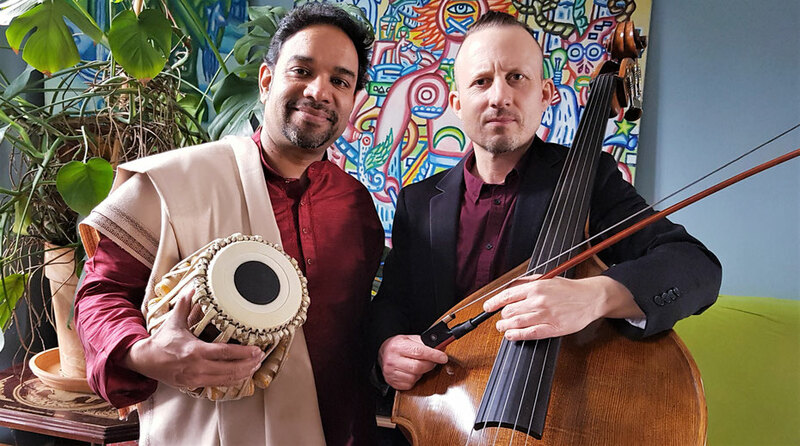 The Tablaplayer Arup Sen Gupta regularly plays throughout Europe, India and the US. Meanwhile he is one of the most sought after Tabla accompanists in Europe, especially in Germany. We are playing mostly own compositions and improvisations. We have also the opportunity to play with other different indian instrumentalists as a trio, like Anupriya Deotale on violin or Ashim Mallick on sitar. Jhap: An amazing tabla solo in ten beats. Featuring Ashim Mallick on sitar. A compilation of different own compositions and small excerpts from pieces by François Rabbath.